"c 1068 - Scituate Public Market, No. Scituate, R.I." by E.M. Spencer, No. 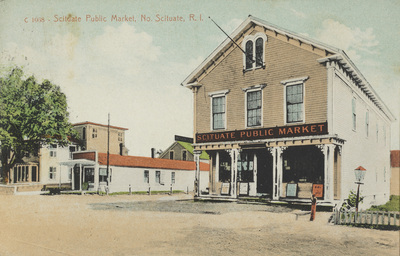 Scituate, R.I.
c 1068 - Scituate Public Market, No. Scituate, R.I.
E.M. Spencer, No. Scituate, R.I.
Used; Postmark: August 5, [x]. E.M. Spencer, No. Scituate, R.I., "c 1068 - Scituate Public Market, No. Scituate, R.I." (1915). Rhode Island Postcards. 254.